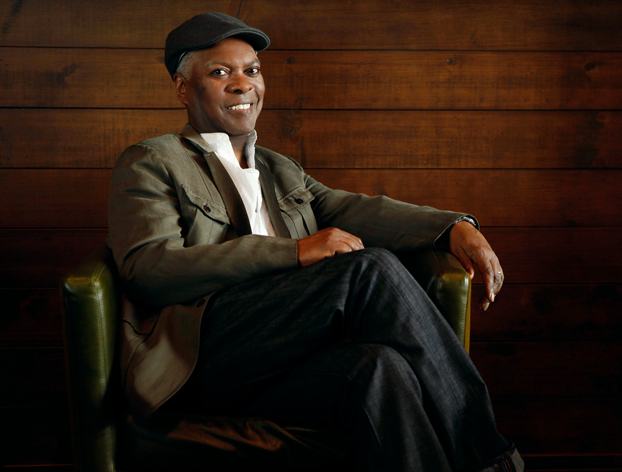 MEMPHIS, TENNESSEE’S BOOKER T. JONES IS MORE THAN A LIVING LEGEND. Together with the band Booker T. & The MGs, he was instrumental (pardon the pun) in creating the genre that is referred to today as soul music. Stax’s southern soul was the gritty counterpart to Motown’s smooth servings. While Detroit’s hit factory concentrated more on their vocalists, “Soulsville” down in Memphis shined a light equally on its players. Rock musicians on these shores as well as on the other side of the big pond took notice and the Stax influence on many of these artists provided an interesting and infectious groove. In addition to releasing the immortal “Green Onions” and many other incredible instrumental tracks, Booker T. & The MGs also contributed the backing to many of Stax’s other big stars, including Otis Redding, Sam & Dave, Albert King and Rufus Thomas. Although Booker T. is mostly known for his immediately identifiable organ playing, he has made his living as a multi-instrumentalist. Booker has also produced musicians such as Bill Withers and Willie Nelson and played on countless recordings by various artists. Booker’s latest solo album is entitled Sound The Alarm and was released in 2013 on the resuscitated Stax label. Red Hot Rock Magazine was treated to the pleasure of sitting down with the absolute gentleman and definition of class that is Booker T. Jones at the inaugural Okeechobee Music & Arts Festival in South Florida. RED HOT ROCK MAGAZINE: Hello again, sir. BOOKER T. JONES: Hi, Ritchie. RHRM: I didn’t expect you to play so much guitar onstage. It was a nice treat. I know that you play pretty much every instrument under the sun. But I expected you to jump onstage and sit down at the organ. A guitar was one of the last instruments that I thought you were going to pick up. You were doing a pretty good job up there. BT: Hey, thank you. I’m glad you thought it was a treat. RHRM: It was. You performed a good piece of your set with the guitar. How often do you play guitar onstage? BT: More often now than in the past. But I pretty much started with the string instruments, ukulele and guitar, before I played piano. So that’s kind of going back to an instrument that I’m a little more familiar with than the keyboards. RHRM: Didn’t you play bass on early sessions? BT: Yeah. I got my first jobs in Memphis as a bass player for Willie Mitchell and Gene “Bowlegs” Miller. Those jobs were playing bass. RHRM: You have become quite prolific again over the last several years, releasing three albums of new music pretty much back-to-back. It’s been a few years now since the most recent one, Sound The Alarm. Is there anything in the works? BT: Yeah. I’m working on writing. I’m working on a new album with my son, Ted. 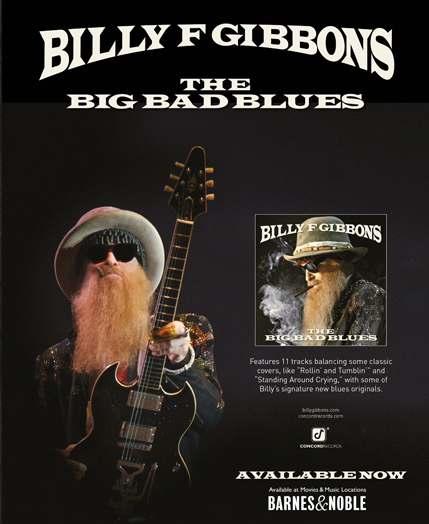 RHRM: Ted played guitar on “Father Son Blues”, a bluesy cut on Sound The Alarm. Was that the first time that Ted had recorded with you? BT: Yes. I wrote that for him. And I’m working on a book, a memoir. That’s taking time from my music. RHRM: Judging by the gentleman that you are, I don’t think that your autobiography will be a tell-all, scars-and-all type of book. I am guessing that it will most likely be more positive and music-centric. Some musicians come out and they talk about every person with whom they have ever slept. BT: Mine would be very short if I did that. BT: Ha ha huh huh ha ha ha! RHRM: You could fill a few books with just the sessions you have played on. That would be very interesting. BT: Yeah. I know. That’s the problem. Part of the problem. RHRM: Do you have detailed notes from all of the sessions that you have done or do you need to do some research? BT: I’ve still got a good memory. That’s detailed notes, ‘cause I can go back still to all of them. In my memory. But I don’t have notes. I wish I had notes. I don’t have the dates and… Yeah. RHRM: I have trouble sometimes figuring out what I did yesterday. It wouldn’t be fun for me going back forty or fifty years. But it would be really interesting to read about all of the sessions you were on. I mean, you could probably write an entire book with stories about Albert King. BT: You went fishing and you caught something there. Ha ha ha. RHRM: Ha ha. Albert is actually one of my heroes, as you are. BT: Well, I’m glad to hear that. RHRM: Yeah. His guitar tone and his voice. I just love the guy. But he notoriously could be a handful and quite often a curmudgeon. Was it difficult at times working with Albert? BT: He was easy for me. I think he liked me. Ha ha ha. And I miss him. I miss him. RHRM: I used to broadcast a radio show when I lived overseas. During the show I included a blues hour. And I always opened that hour with “I’ll Play The Blues For You”. RHRM: I love it. That song melts me. It doesn’t matter how many times I hear it. BT: That’s a good one. And “As The Years Go Passing By”. That’s my favorite one. RHRM: That’s a nice one, too. I have heard you say that you didn’t play much blues at Stax, that that was more of an r’n’b thing. But there was Albert King. And what was Booker T. & The MGs’ “Green Onions” if not a blues? BT: Yeah. That’s 12-bar blues. That’s what it is. That was a standard. That was a standard. And the goal was to kind of deviate from that whenever. So, “Time Is Tight” was a deviation. “Hip Hug-Her” was not a deviation. Ha ha. Most of the songs were. “Soul Limbo” was a deviation. RHRM: You kind of came full circle on Sound The Alarm. There are quite a few tracks that are very bluesy. BT: Yeah. All of those people on Sound The Alarm are neo-soul people. Most of them, except for Gary (Clark Jr.) He’s authentic blues. And my son Ted is pretty much authentic blues. But the others are neo-soul artists. Estelle and Anthony Hamilton and Mayer Hawthorne. RHRM: The track you recorded with Vintage Trouble was also a bluesy one. That was a nice one. BT: It was. Yeah. Um hmm. Yeah. Hmm hmm. RHRM: I like those guys. Great band. BT: We wrote that for the album. Um hmm. An original. RHRM: Had you already left Stax when Little Milton started recording there? 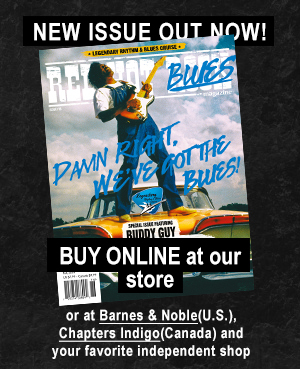 RHRM: He was another great bluesman, of course. BT: The first time I met him was at a Stax reunion. I hadn’t met him before. And it was really, really awkward. Because he was an established Stax artist. I think he felt like Stax was his home. And so did I. And we never met. So, we’d been sitting backstage and it was a little awkward. RHRM: But going back to Albert King. Ha ha. RHRM:: He was such a larger than life character. Anything you can think of offhand, anything amusing? Everyone that spent time with Albert seems to have an anecdote about things that he would say or things that he did. BT: He didn’t misbehave around me that I can remember. I mean, no guitars thrown across the room or anything like that. He was sweet. He was sweet to me. And he’d, you know, call and say, “Why haven’t you called?” He was like that. ‘Cause I was remiss, obviously, in the relationship. Moved to California. Left Stax. “What are you doing? Why are you leaving?” It was like that. RHRM: A man who by all accounts was supposed to have been a very sweet man was Otis Redding. RHRM: It seems as if nobody has a bad thing to say about Otis. He was a force of nature, but he is remembered as a gentle soul and a very nice man. When you worked with someone like Otis, a creative person with such a large personality, how much of the final product was Otis and how much did you and the guys in the MGs contribute? Was it a collaborative effort? BT: Yeah. Completely. Uhm hmm. RHRM: So, Otis didn’t have the songs complete when he would come into the studio? BT: Oh, yes. He had the songs complete, but not the arrangements. RHRM: Ahh. To be a fly on the wall at those sessions. And then there was Sam & Dave. What a fantastic team they were! But were you witness to any of the shenanigans that occurred between the two of them or did they keep things on a more professional level while at work? Because there were apparently a lot of fireworks between them. BT: I didn’t see any of that. David Porter and Isaac Hayes were the architects. And they were calling the shots musically. But I didn’t see the stuff behind the screen. But, you know, volatile people. They have to be volatile to be that dynamic. And the synergy between them was unbelievable! It was, like, you could see the sparks, onstage, when they were dancing together. The way they were moving together onstage. That was amazing. I’d forget I was playing. I would forget I was onstage. I would forget I was part of the show and watch. Ha ha hah. RHRM: The incredible thing back then is that it seems as if the things they did onstage… Whenever you have an r’n’b or soul act now, everything is meticulously choreographed. But it looks like everything that Sam & Dave did was spontaneous. BT:Yeah. That’s the word, man. And that’s what I couldn’t understand or get, is how do you do that spontaneously. How do you move your body like that, you know, at that speed and that intensity along with someone else spontaneously? So, they really did have a mental thing going on. RHRM:For a big guy, Otis moved pretty well on stage, as well. BT: Yeah. But he didn’t have a partner to deal with, though. Ha ha ha. RHRM: Yeah. I guess so. I apologize for going through this cavalcade of artists that I am mentioning. But it is amazing how many incredible people with whom you collaborated. There is one more I must mention. RHRM: I had the pleasure of seeing Rufus Thomas perform while he was still alive. What a show he put on! James Brown is given so much credit for his onstage antics. And he certainly influenced everyone from Michael Jackson to Prince to Bruno Mars. But I think that Rufus may have had a lot to do with creating a lot of that stuff. BT: Yeah. He created a talent show that I saw when I was a kid, actually, on TV. Rufus and Bones. It was a show that came from the Daisy Theater on Beale Street. And it was a TV show that came on Saturday night or something. That was the only way a kid like me could get exposed to something like that, to watch the TV show. So, when I went to play on his record, I knew who he was. I had seen him perform. But, yeah, they did that. I guess it was almost post-Vaudeville. But on television. RHRM: He was a little older than the other Stax artists, wasn’t he? BT: Yeah. Older. Hmm mmm. RHRM: What kind of guy was he to work with? He seems to have been quite a character.